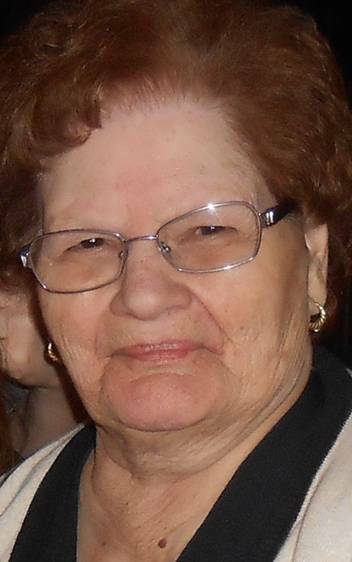 Obituary for Cisaltina Maria (Cordeiro) Martins | George C. Lima Funeral Home, Inc.
Cisaltina Maria (Cordeiro) Martins, 87, of Bay View Avenue passed away on August 21, 2018 at Charlton Memorial Hospital after a brave battle with cancer. She was the wife of the late Afonso Sousa Martins. Born in Relva, St. Michael, she was the daughter of the late Manuel Cordeiro Silva and Almerinda (Ferreira) Silva . She is survived by her children Mary Kennedy and her husband Joseph, Aurelio Martins, Archie Martins and his wife Michele and Gil Martins and his fiancée Trina; grandchildren Samantha Martins, Joshua Martins, Jacob Medeiros; brother Archie Cordeiro as well as many nieces and nephews. She was the mother of the late Dennis Martins and sister of the late Antonio Silva, Manuel Cordeiro and John Silva. Tina was educated in Portugal and employed by Quaker Fabrics for 32 years before retiring. She was deeply faithful and lived a Christian life. She was a devoted parishioner of St. Elizabeth’s Church and a member of the Legion of Mary and several prayer groups. Calling hours are 8:30 – 10:30 AM, Saturday, August 25th, at the George Lima Funeral Home 367 High Street followed by a Mass of Christian Burial, 11 AM at St. Elizabeth’s Church 577 Wood Street. Burial will follow in St. Mary’s Cemetery.